The Russian State Ballet & Orchestra of Siberia! 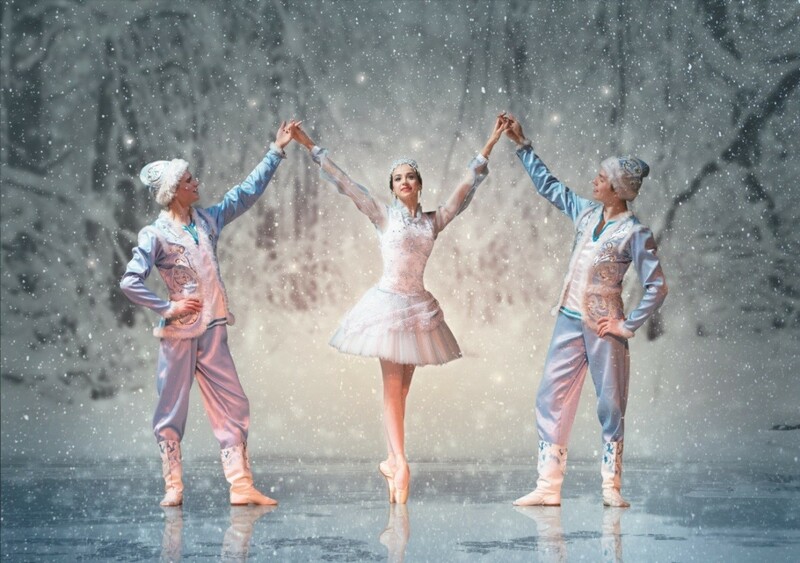 ST DAVID’S HALL has got the festive season all wrapped up this Christmas with the sensational UK premiere of The Snow Maiden from the acclaimed Russian State Ballet & Orchestra of Siberia! The world renowned classical ballet company has never staged this show before, and this brand new production is now set to delight the whole family at the National Concert Hall of Wales. Five magical shows including matinees and early evening performances will take place on Saturday 19 – Monday 21 December at 2pm and 5.30pm. Originally titled The Snow Maiden: A Spring Fairy Tale, this breathtaking ballet is a re-adaption of Alexander Ostrovsky’s story set in freezing mid-winter. Even the coldest of hearts will be melted by such an enchanting tale. It even inspired the Disney family favourite Frozen in 2013! Protected from the outside world by Father Frost, the exquisite Snow Maiden plays innocently amongst the dancing snowflakes in the mesmerising Land of Frost. This seasonal sparkler follows the beautiful girl as she dances into the human world. Quickly captivated by the colourful village and the people who live there, she ventures too far and is swept away by feelings of temptation and betrayal. Will she find happiness once she finally surrenders herself to the warmth of love? Find out for yourself along with the whole family at St David’s Hall this Christmas!